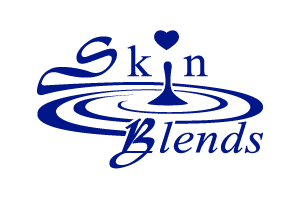 · Unique, natural and effective foaming scrub for all skin types, but especially Combination Skin. · Bamboo Powder is an excellent natural exfoliant that is rich in Silica so it helps tone and polish skin resulting in a natural, luminous finish. · Bromelain is a natural enzyme exfoliant, which opens up the skin by digesting surface cells for better penetration of products. · Polypeptide Enzyme Trio is enzyme enriched with Oligo Elements; Copper,Zinc, and Maganese (polypeptides) which revitalize skin by stimulating the metabolism of each skin cell to reveal firmer, smoother, and more youthful and glowing looking skin. · Bamboo Powder particles are smoother and less callous than many exfoliants making them effective, but not irritating to even the most sensitive skin. The powder is extremely rich in silica, an essential element for remineralizing skin to help fight acne, wrinkles and cellulite. · Bromelain comes from pineapple and is a natural enzyme that exfoliates by digesting dead skin cells to reveal a fresh youthful layer of skin. · Cocamidopropyl Betaine (CAPB) is a natural, gentle surfactant that removes dirt and oil from the skin. It comes from coconut oil and offers thickening and foaming properties in addition to moisturizing the skin. · Phytomoist is 100% natural and 400x as moisturizing as Sodium Hyaluronate. It increases the production of SOD and is very effective at puffing the skin due to extreme moisturizing so skin looks younger. Active Copper Polypetide is an anti-inflammatory that restores skin vitality and promotes cellular regeneration to combat the aging process. Active Zinc Polypetide is an anti-inflammatory as well as a healing and soothing agent that regulates sebum secretion. Active Maganese Polypetide is an anti-inflammatory that energizes skin cells by fueling the Kreb Cycle to remodel and restore vitality to the skin.